Perfect for arthritic hands! The secret is the press and spin action–just press up and down on the handle for a multi-pulse action that does 10 times the whipping of an ordinary whisk. 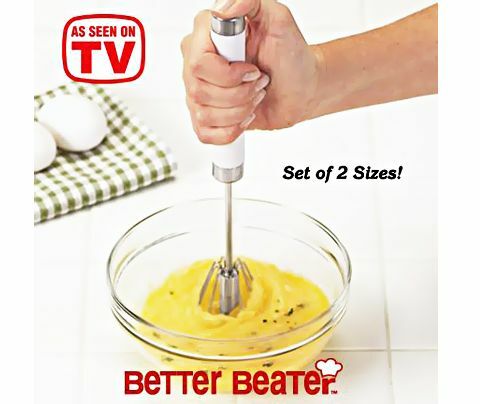 Great for dressings, whip cream, sauces, batters, fluffy eggs, smoothies, frothed milk and much more. Won’t scratch pans and is dishwasher safe. Includes 2 stainless steel beaters.